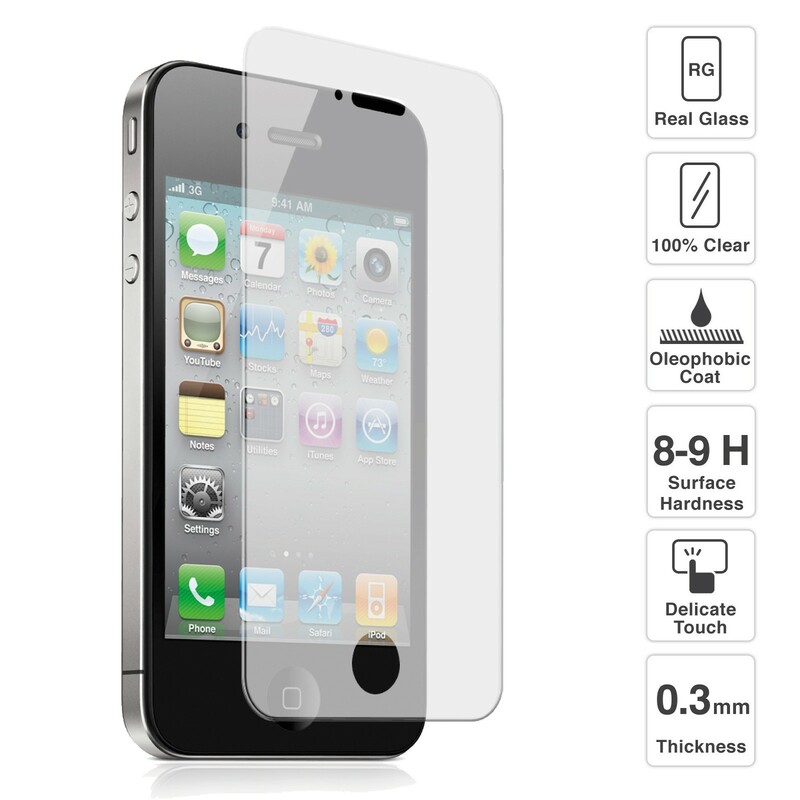 This tempered glass screen protector for iPhone 4 or 4S is a must-have for anyone prone to constantly dropping their phone. The screen protector fits perfectly over the iPhone 4/4S to prevent scratches and absorb shocks. Since the edges of the iPhone screen are the most likely parts to crack, screen protector follows the natural curvature of the iPhone to prevent chipping. This screen protector is adhered to phones with a silicon adhesive to keep it in place. The transparent screen protector fits perfectly over top of the iPhone's touch screen, leaving no gaps in between so that sensitivity is not affected. Additionally, the screen protector is covered in an oleophobic coating to prevent fingerprints and other smudges. These screen protector is the only screen protector you can buy on eBay, that is not only scratch resistant, but also shatter resistant - the film reduces the break resistance of your screen by 35 percent. This is Ideal for your iPhone to protect it from getting screen damaged. With this screen protector you reduce the chances of breaking your iPhone expensive LCD screen! Tempered glass construction for enhanced impact resistance and reduce the chances of screen damage. Made with chemically treated, transparent tempered glass with silicon adhesive to keep it in place. How's your current device holding up?